What if you could hear your plants create music? 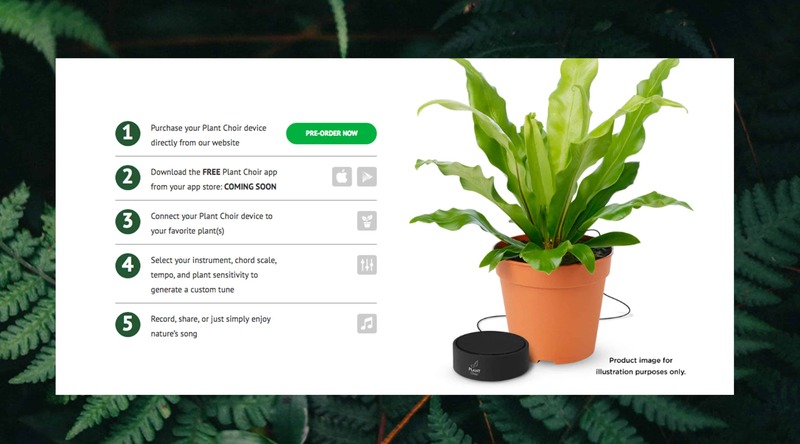 1dea is often approached with unique ideas, but none more out-of-the-box than Plant Choir - a Bluetooth device that allows you to listen to music produced by your plants! Our task was to create branding that would promote this new idea. We were very excited to see the branding in action during Plant Choir’s launch on CBC's Dragons' Den, which led to a successful deal. 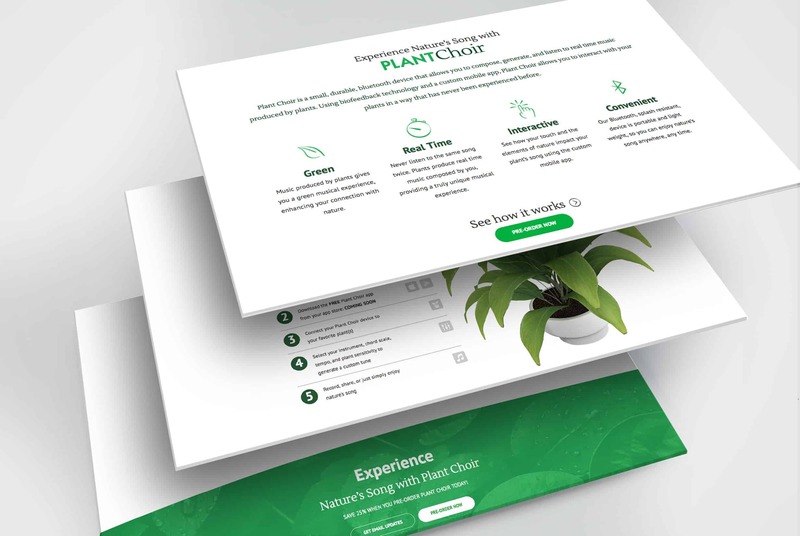 With the creation of a conversion driven e-commerce website, app design, visual identity look and feel; the platform for the idea that plants can make custom music bloomed. 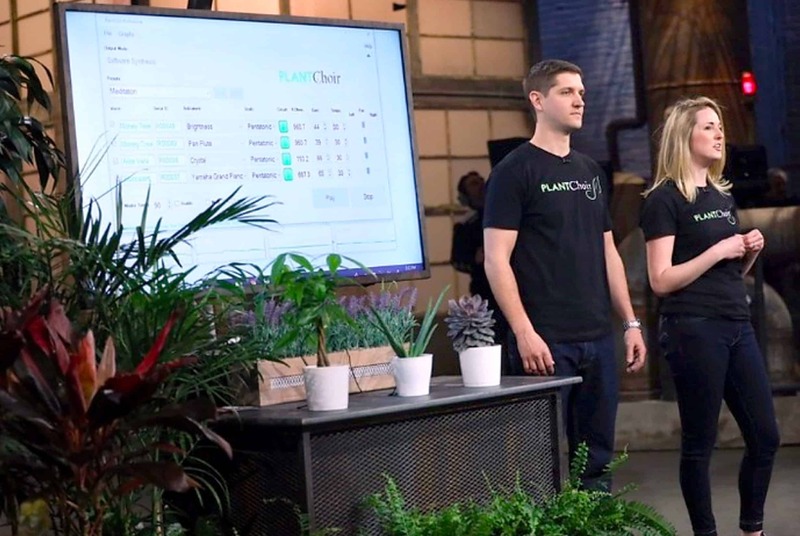 Plant Choir was in a unique position of gaining national exposure on CBS's Dragons' Den which would help them gain visibility in the marketplace. The only downfall was that their product was still in the development phase. In order to capitalize on this extensive exposure and keep public interest they enlisted 1dea's to help make their online presence worthwhile. 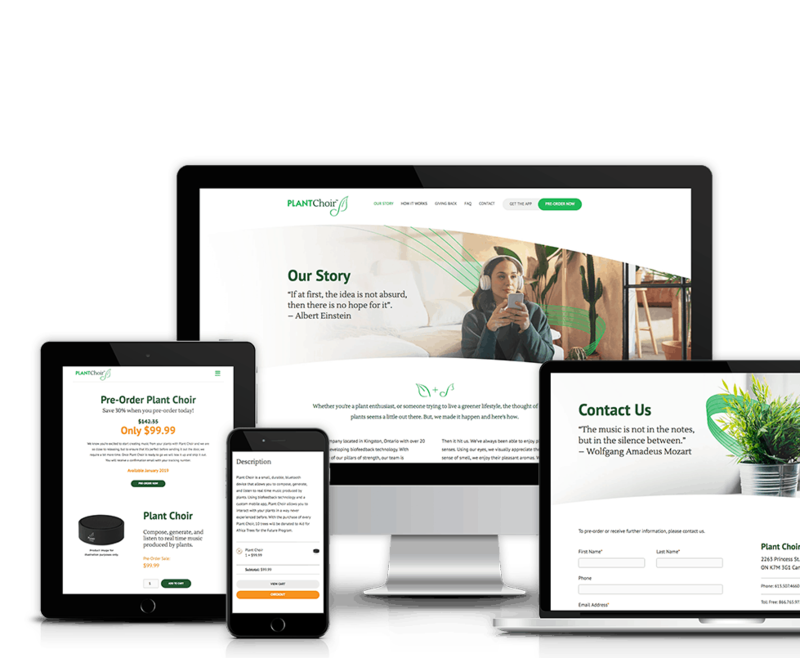 1dea established a sales engine through an e-commerce website, that allowed for pre-sales and lead generation. 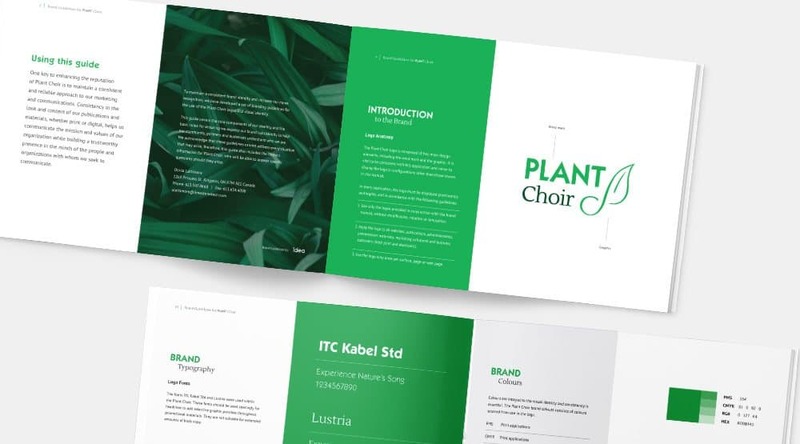 This paired with graphic design to create their look and feel helped make Plant Choir brand ready for the spotlight. 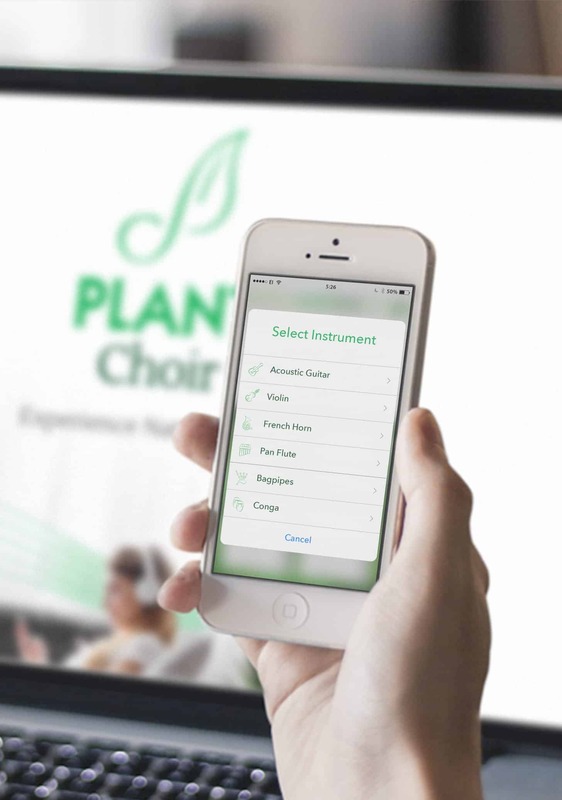 Plant Choir’s debut on Dragons’ Den was a resounding success, resulting in many pre-orders and helping to build an email list. 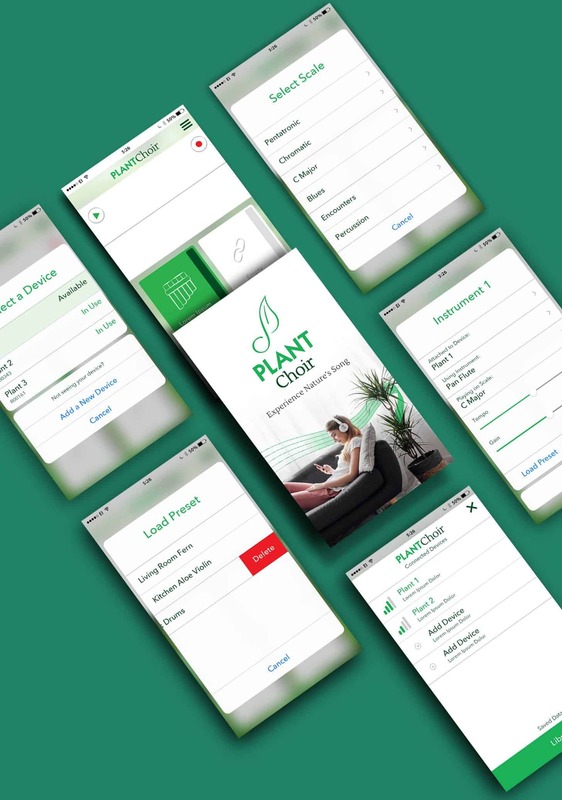 1dea has now shifted its focus to the design of the Plant Choir app, which has a pending launch date of early 2019. 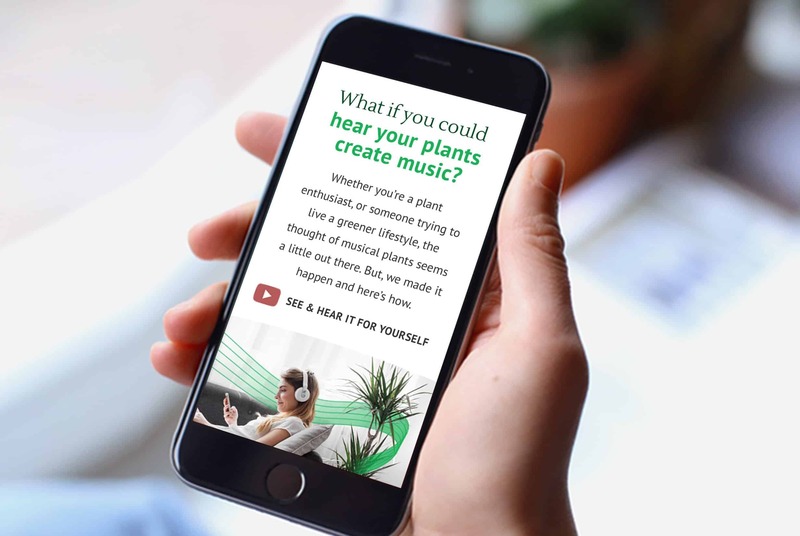 This comprehensive and complex product, which allows plants to make music needed to be delivered in an app with streamlined functionality in order to present a clean and user-friendly framework. The graphic design follows the brand look & feel to make a unified presence. With a deal with a Dragon in place, Plant Choir is ready to take the next step. Expect to see sales launch in 2019, a Kickstarter campaign, app launch and continued growth of this unique product. 1dea is excited to be involved in this new idea becoming a reality. Plant Choir successfully brokered a deal with Lane Merrifield of CBC's Dragons' Den. 1dea looks forward to seeing this company expand with this valuable partner.